Researchers have found a link between the use of high fructose corn syrup in a country's food source and the spread of type 2 diabetes. High fructose corn syrup (HFCS) are made from corn syrup. The syrup contains glucose (a simple sugar) which is then converted to another more sweeter type of sugar, fructose. Both glucose and fructose are simple sugars that are sweet, colorless, and odorless. HFCS are commonly used as a sweetener in commercially available foods and beverages. Soda, cereals, candies, and bread are some of the food that use HFCS. 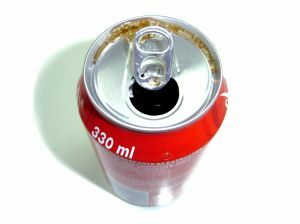 HFCS in food and drinks is said to be one of the major reasons for the rise of obesity in children. Type 2 diabetes is the most common form of diabetes. 95% of adult diabetes cases are Type 2. Obesity is a major factor for the cause of type 2 diabetes. With type 2 diabetes, the body rejects or does not respond to the insulin generated by the body. Without insulin, glucose in the blood stream cannot be transferred into the cells for storage. This results in high levels of glucose in the blood stream which can cause hyperglycemia, a condition there nerves, blood vessels and other organs such as the heart are damaged. There is no cure for type 2 diabetes but there are therapies and treatments such as (blood sugar monitoring and insulin shots) that controls and regulates the disease to manageable levels. A new study by University of Southern California (USC) and University of Oxford researchers indicates that large amounts of high fructose corn syrup (HFCS) found in national food supplies across the world may be one explanation for the rising global epidemic of type 2 diabetes and resulting higher health care costs. The study reports that countries that use HFCS in their food supply had a 20 percent higher prevalence of diabetes than countries that did not use HFCS. The analysis also revealed that HFCS's association with the "significantly increased prevalence of diabetes" occurred independent of total sugar intake and obesity levels. The article, "High Fructose Corn Syrup and Diabetes Prevalence: A Global Perspective," is published in the journal Global Public Health. "HFCS appears to pose a serious public health problem on a global scale," said principal study author Michael I. Goran, professor of preventive medicine, director of the Childhood Obesity Research Center and co-director of the Diabetes and Obesity Research Institute at the Keck School of Medicine at USC. "The study adds to a growing body of scientific literature that indicates HFCS consumption may result in negative health consequences distinct from and more deleterious than natural sugar." "This research suggests that HFCS can increase the risk of type 2 diabetes, which is one of the most common causes of death in the world today," said study co-author Professor Stanley Ulijaszek, director of the Institute of Social and Cultural Anthropology at the University of Oxford. In a previous related study, the authors found that the fructose content in some U.S.-produced soft drinks, especially the most popular, was about 20 percent higher than expected, suggesting that some manufacturers might be using HFCS with more fructose than previously estimated. Such differences could "potentially be driving up fructose consumption in countries that use HFCS," the researchers said. The study notes the difficulty in determining the actual amount of fructose in foods and beverages made with HFCS because of "a lack of industry disclosure on food labels." "Most populations have an almost insatiable appetite for sweet foods, but regrettably our metabolism has not evolved sufficiently to be able to process the fructose from high fructose corn syrup in the quantities that some people are consuming it," said Ulijaszek. "Although this syrup can be found in many of our processed foods and drinks, this varies enormously from country to country." The U.S. is the single largest consumer of high fructose corn syrup. By the late 1990s HFCS made up 40 percent of all caloric sweeteners and was the predominant sweetener in soft drinks sold in the U.S. However, since 2008, exports of HFCS from the U.S. to Mexico increased "exponentially" after trade restrictions were removed, the researchers said. They call for updated public health strategies requiring better labeling of fructose and HFCS content in processed foods. "If HFCS is a risk factor for diabetes—one of the world's most serious chronic diseases—then we need to rewrite national dietary guidelines and review agriculture trade polices," said Tim Lobstein, director of policy for the International Association for the Study of Obesity. "HFCS will join trans fats and salt as ingredients to avoid, and foods should carry warning labels."